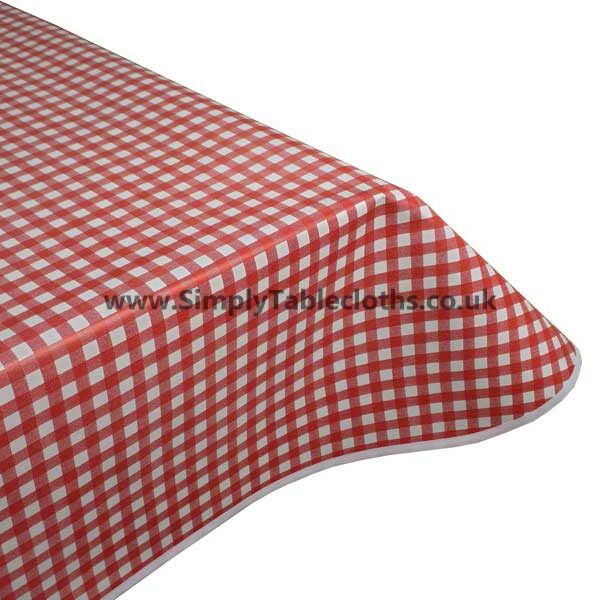 The classic red and white gingham tablecloth comes to life with this vinyl coated option. Timeless in its design, this tablecloth will be a go-to for all of your outdoor needs, from picnics to sporting events. The surface is durable for wear and tear, and requires a simple wipe clean. Max tablecloth widths are already shown. We can cut longer lengths if required. Fabric Base: None – Just a non woven backing attached.